HOUSTON — Hurdle No. 1 for Miguel Andujar, cleared. It was a positive step for the Yankees third baseman, who has been sidelined since April 1 with a right shoulder strain, though just how significant a step toward the ultimate goal of being able to avoid surgery isn’t known. Andujar tested the slight tear in his labrum by playing catch for the first time in his rehab process, throwing with infield coach Carlos Mendoza for about five minutes Wednesday afternoon at Minute Maid Park. “I definitely felt better than I thought I was going to feel,” Andujar said after the session, which was watched by Aaron Boone, a member of the training staff and the club’s translator. Andujar, who threw softly 25 times from 60 feet, said he’ll throw again Friday and advance to taking swings inside the cage. That’s another potentially important step, though Andujar, while encouraged, isn’t getting ahead of himself. He was injured diving back to third base during a loss to the Orioles March 31 at the Stadium, and the injury typically requires surgery. But after the tear was diagnosed, doctors recommended the rehab protocol he’s undertaking. 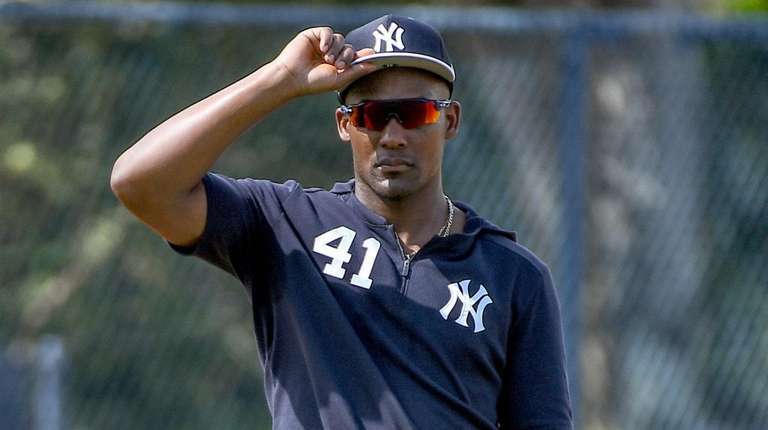 Andujar will be re-evaluated in the coming weeks, at which time a determination on surgery will be made. Before he started throwing, was he afraid of what the shoulder would feel like? Boone said: “I feel like it’s still too early” to draw any big conclusions from the throwing session, but added he could tell it gave Andujar some peace of mind. Boone said in the days after he went to the IL that Andujar was cautiously optimistic he might be able to avoid surgery because of the way the shoulder seemed to be responding, with the pain level steadily decreasing, and he remains so. The third baseman said, "I definitely felt better than I thought I was going to feel.” Andujar will throw again Friday and take some swings in the batting cage.